A retired US Air Force Colonel, was the first American woman to pilot a plane in combat and the first woman to command a USAF fighter squadron. Successfully challenged military policy that required US servicewomen stationed in Saudi Arabia to wear the body-covering abaya when traveling off base in country. Defeated the incumbent Democrat by 161 votes in 2014 despite being wildly outspent 4.28 to 1. This was a rematch of a 2012 race which was also the closest in the country. 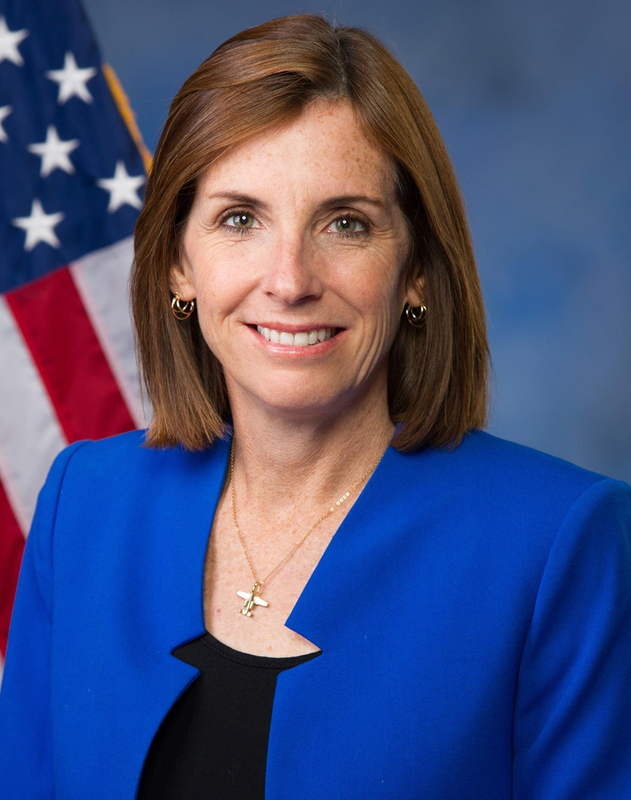 In 2018 McSally won the GOP nomination for the open U.S. Senate seat with 53% of the vote. The seat became open with the retirement of Sen. Jeff Flake (R). The general election remained undecided for several days due to the closeness of the race. McSally held a slim lead at the end of Election Night but it dwindled as more ballots were counted over the ensuing days. On November 12, she conceded to her Democrat opponent, Krysten Sinema. December 18, 2018 McSally was appointed by Gov. Doug Ducey (R) to the U.S. Senate seat left vacant by the death of Sen. John McCain (R) and the resignation of his appointed successor, Sen. Jon Kyl (R). McSally is running in the special election being held in November, 2020 to finish the final two years of Sen. McCain’s term.